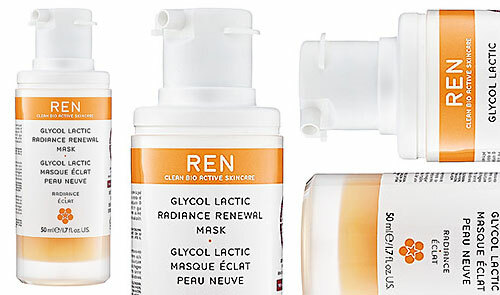 I arrived home from a 24 hour business trip to find the most delicious thing on my desk – this REN Glycol Lactic Radiance Renewal Mask. You know I love a weekly deep cleansing mask … and I also felt disgusting from the airplane, as one does … so I immediately slathered this on. This gentle treatment goes on like something you’d spread on toast and savor by the side of your infinity pool – papaya honey, let’s call it. The active ingredients are a blend of four fruit acids (lactic, glycolic, tartaric and citric) that purge pores without irritation. Leave it on for 10 minutes, then wipe off with the included cotton cloth. I loved that it left my skin soft and really moisturized - the opposite of that stripped feeling common to cleansing masks. Also, like all REN products, it’s paraben, sulfate, petrochemical and synthetic dye and fragrance free. Also perfect for post fashion week face rehabilitation.